Northern Ireland born Colin Carruthers will be having his first solo exhibition with the Gallery in November. Colin has been a Gallery artist for the past two years, in this exhibition we have a collection of around twenty beautiful landscapes and seascapes. 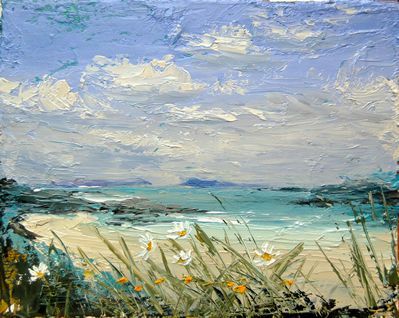 Colin produces landscape and seascape paintings, which convey the ever-changing aspects of nature. One of the features of Colin Carruthers art work lies in the fact that he does not use any obvious references. Geographical landmarks, people and the signs of society are all stripped away from view in order to create a space which can be more enticing, raw or subjective.